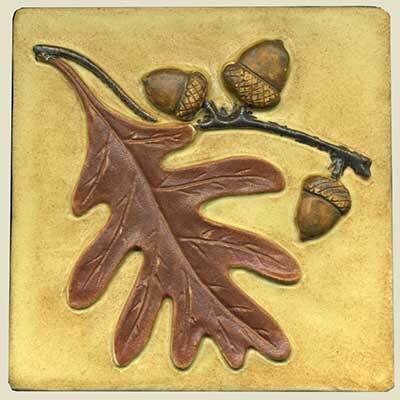 The 6" Oak Leaf and Acorn tile is a larger version of our 4" tile. The leaf and acorns are raised design elements. 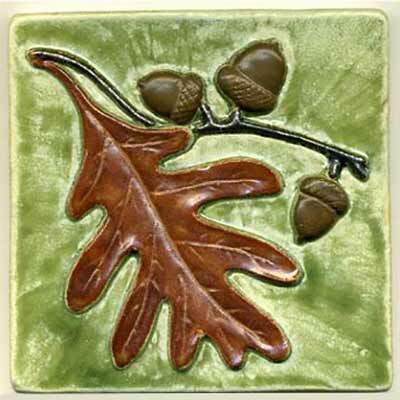 This tile is available in any single glaze or stain or in multiple colors. Colors shown: nutmeg leaf and pharsalia background; nutmeg leaf with spearmint background.